M.Phil. in Management is a post graduate program in management studies. Admission to M.Phil. Course shall be made on the basis of marks obtained in Master’s Degree Examination and the aptitude based entrance exam conducted every year. The fee for the course varies between INR 20,000 to 2,00,000 depending on the college in India. Universities may also give more priority to students who have work experience in teaching and this preference shall be more based on the number of years of work experience either affiliated to the same university or other universities. Students who have completed their graduation in the master’s degree with at least 55% marks in the relevant subject are eligible for admission. The students who have qualified for CA/ACS/ICWA are also eligible for the course. Graduates of M.Phil. in Management have a wide range of job opportunities Management consultants, economists, finance advisor's, Human resource manager etc. The opportunities are not limited to the said fields. Once completed, the graduate may pursue further studies or may take up said job opportunities associated. The average salary for an M.Phil. in Management is between INR 5 and 7 LPA. Eligibility Second class Master’s Degree in relevant subject. 55% in relevant post graduate degree. M.Phil. in Management: What is it about? M.Phil. in Management program is designed for students aspiring for advanced research world leading to doctoral level. The course is suitable for students who are interested in research field, corporate firms and in education. The students would be trained for methodological competencies in research work. The program includes theory paper and a dissertation. The course provides the students with knowledge and skills to think systematically for solving problems in the concerned areas. The study helps the students in gaining insight in identifying problems and handling the challenging tasks. Scope of jobs is maximum in the corporate sector and the education sector. The course emphasis on computer applications, communication and pedagogical skills and would train the candidates to work independently helping those who become independent economists and researchers. The aspiring candidates should have good communication and problem solving skills and should be result oriented. Second class Master’s Degree in relevant subject. The candidate must possess master’s degree from a recognized university with 55% marks in the relevant subject. The students who have qualified for CA/ACS/ICWA are also eligible for the course. The admission for the course is through entrance examination based on aptitude test, subject knowledge and personal interview. Each University has its own admission test which can be looked up on the University’s portal. The one year of study is divided into two semesters and each of the semester has either theory or practical. The syllabus varies with the specialization we wish to opt. Career prospects of M.Phil. in Management course are many depending on the level of expertise and inclination of practice. They find jobs ranging between a variety of fields like management consultants and academic professors. 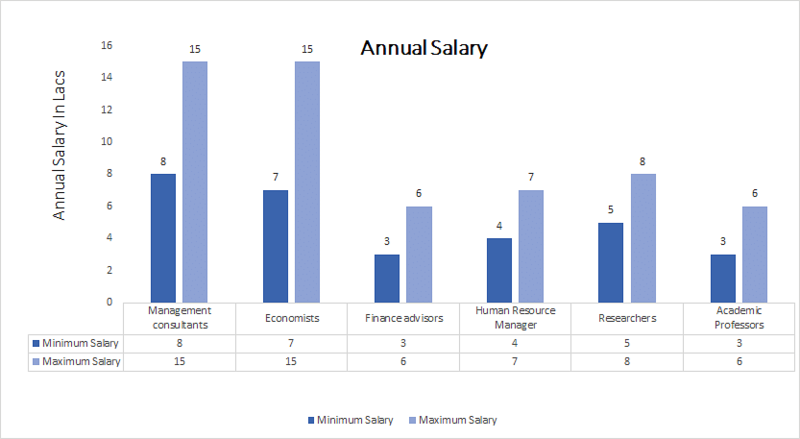 The average salary is between INR 5 – 6 LPA. The successful scholars can find jobs in public, private sectors, corporate firms and educational firms. The qualified students also find placements in global companies. The job profiles for these positions range as management consultants, economists, finance advisors, Human resource manager, researchers/ academic professors. The compensation and salaries for these individual jobs are very area specific depending on the further Education and the method of practice and also depend on expertise and level of operation.